There’s not been much goin’ on this week. As with last week, I have been visiting family, but I had a lot less hobby time this week. 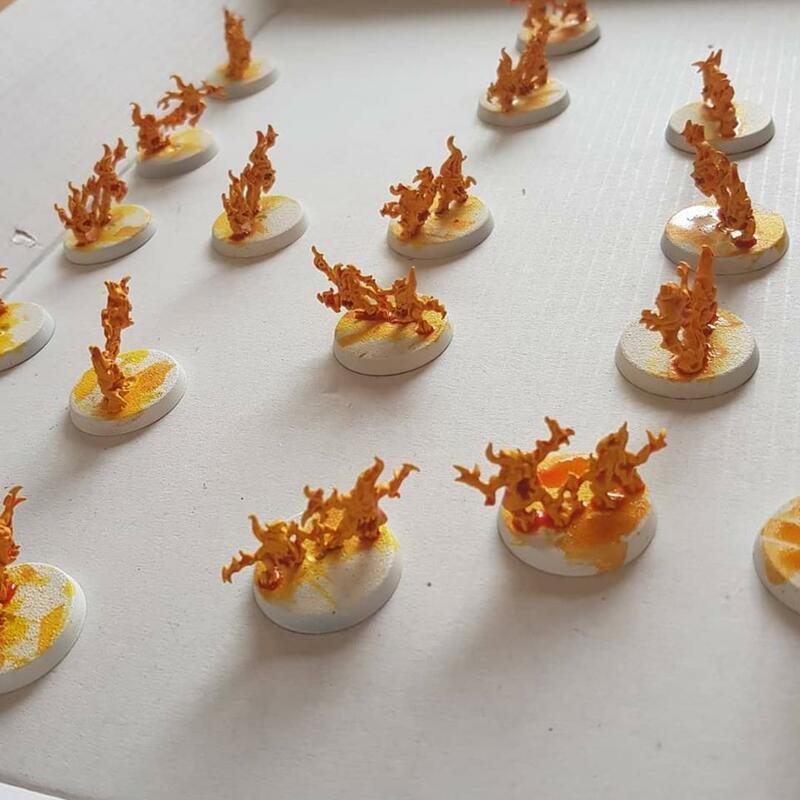 I just have some detailing to do before basing them. I say ‘just’… we’ll see how I do this week. My goal for the year was 100 miniatures. Up to now, I’ve only completed the Malifaux Hired Swords box (7 minis), Willie the Demolitionist for Malifaux and a single Primaris Space Marine to try out a Flesh Tearers colour scheme. That gives a pitiful total of 9 minis for the year thus far. If I can finish these, that brings me up to a much more respectable 99, with my Lord of change hoping to be my hundredth miniature of the year. Nice to a goal, especially when it is in sight! 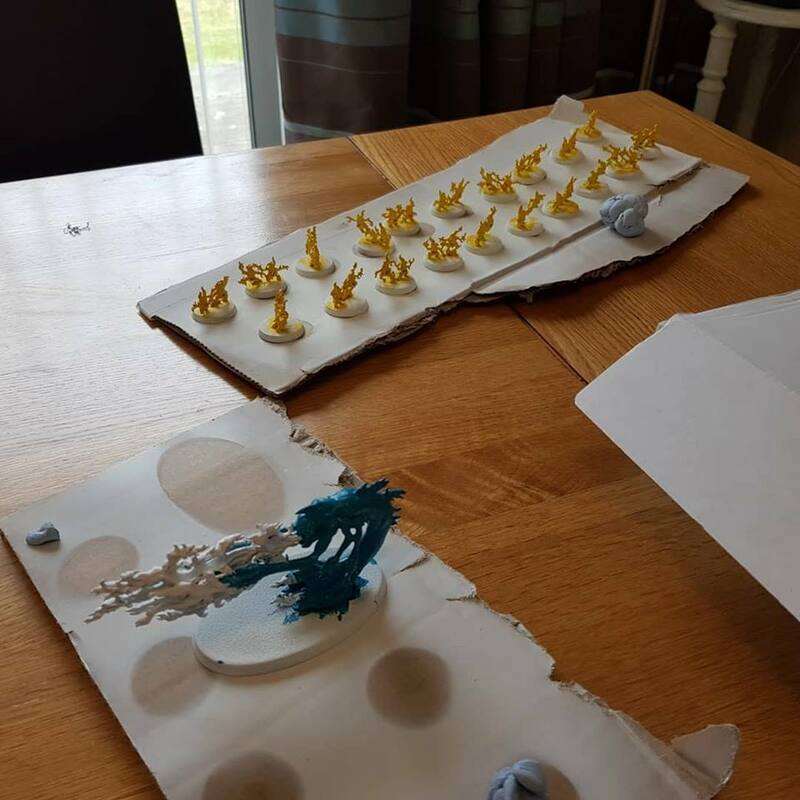 I did also play some D&D on Friday night once I returned from south. We had an encounter with a vampire under a church and I got to go full Paladin and really lock down that fight. A foe that should have been able to kick our butts didn’t get the chance! Previous postBundle(s) of Holding: Ars Magica 5th Ed. 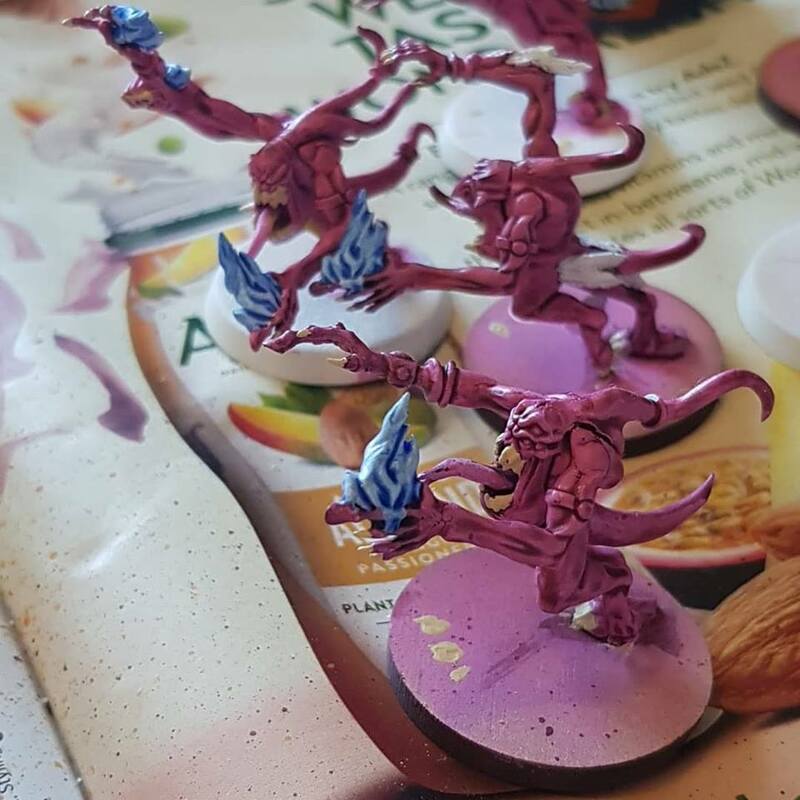 When I painted my horrors, I went with a Skittles color scheme. Given it’s for 40k, but I wanted something to make them stand out as separate units. Majority are pink, but I have blue and green as well. 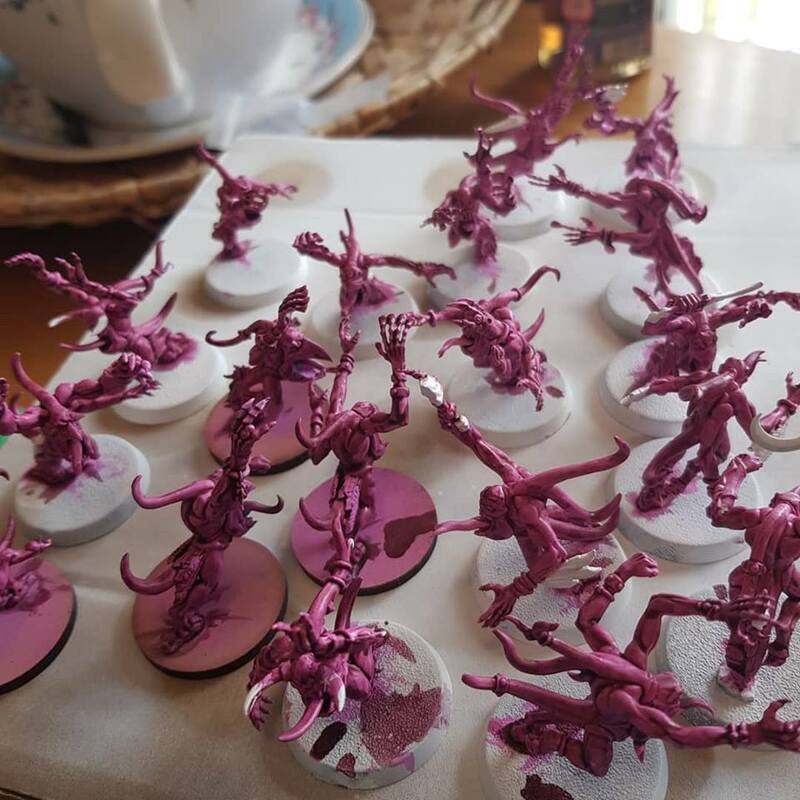 I found pink to be the hardest to get painted. That sounds cool. 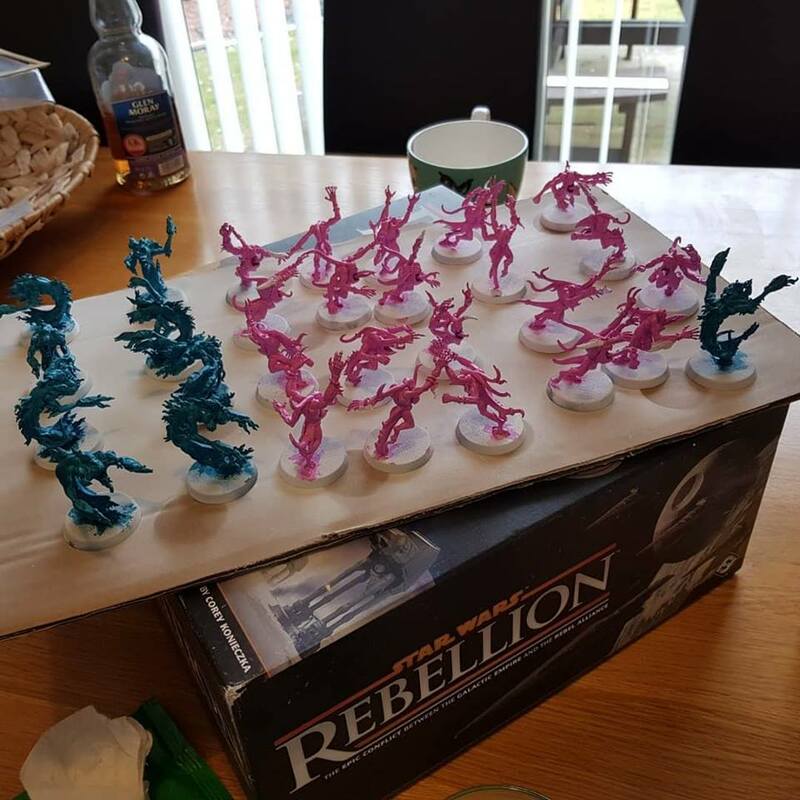 I considered different schemes, but I decided to just production line them.